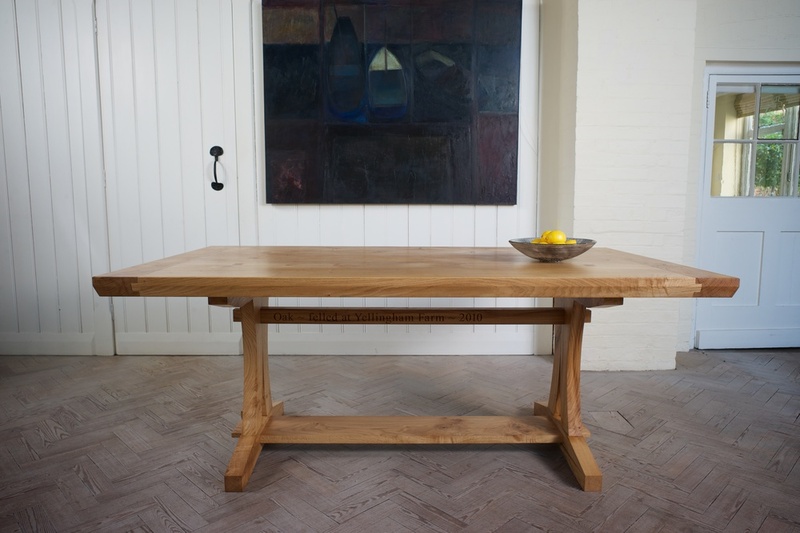 Petrel furniture hand crafted refectory table in solid English oak. 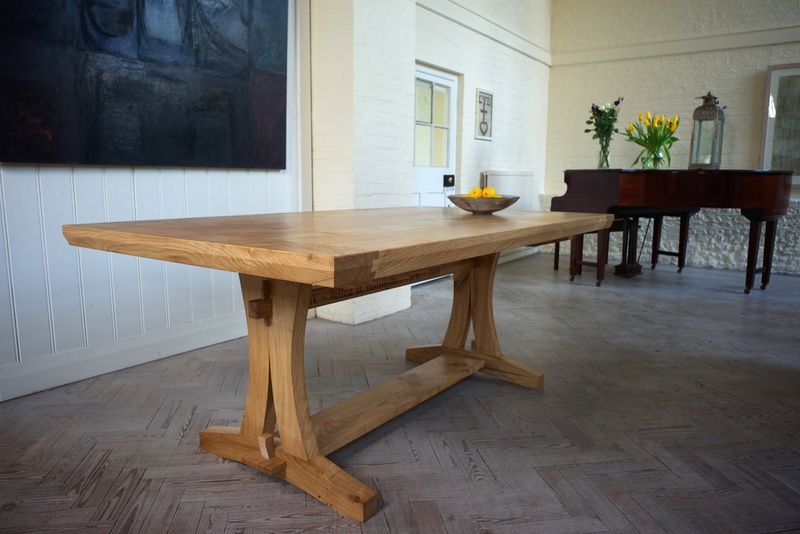 The tree was felled at Yellingham Farm in 2010 by the owners and stored in the lambing barn until it was ready to be turned into a sizeable table with room enough to seat the entire family. Made of solid oak with hand-cut joints the table is designed to move with the changing seasons and weather. The clever design uses floating through tenons on the table top which sit within the legs, not a single nail was used in the project. The table top is a significant 60mm thick a chamfer softens and lightens the overall size. The tables were photographed at Jointure Studios in the beautiful village go Ditching which is just down the road from the Petrel workshops, the jointure B&B is a must for those looking for a country break in a fine house and garden. and food for many years. It fell in 2010 and after years of curing has been transformed into a family table, a place for sharing and good conversation at the heart of the home. in at a hefty 60mm thickness, the table is designed to move and adjust to the seasons and changing temperatures in the room. 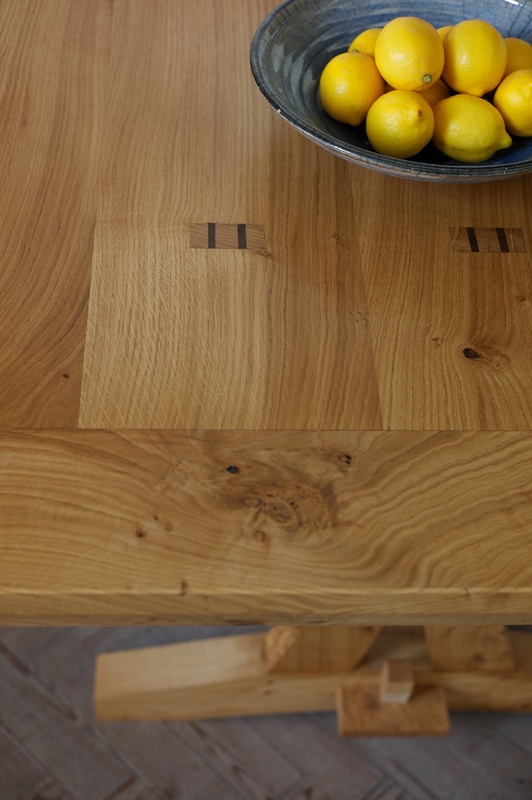 The traditional hand-cut joints provide tolerance for movement whilst keeping the table solid. Through tenons connect the top to mortised holes in the legs which are then pegged to secure the top. Not a single nail or screw was used.